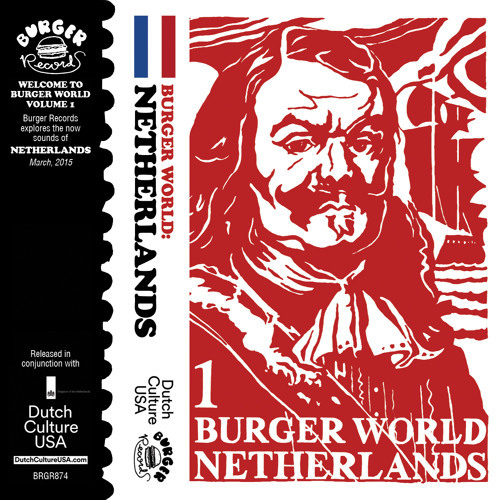 BURGER RECORDS & DUTCH CULTURE USA HAVE TEAMED UP TO CREATE AN INCREDIBLE CASSETTE COMPILATION OF ALL DUTCH BANDS ROCKIN' & ROLLIN' RIGHT NOW!!! Featuring Mozes and the Firstborn, Jacco Gardner, Traumahelikopter, Afterpartees, Santa Fé, Earth MK II, Eerie Wanda, Long Life Heads, Mountain States, Nouveau Velo, Alamo Race Track, Palio SuperSpeed Donkey, Sofie Winterson, White Slice, The Miseries, Pauw, The Homesick, Lookapony & No Waves & Sunrays w/ art by Wolf Aartsen!! !